﻿ WheelchairDriver • View topic - Permobil Corpus Seating System HUGE Flaw!! Permobil Corpus Seating System HUGE Flaw!! So I think Permobil chairs are some of the more attractive looking chairs and have a decent reputation. That's why I keep getting them. I have 2 C350's and a C300. However, the Corpus seating system (CSS) (and I assume other chair brands are similar) is connected to the base via a single centered column. What!? I can't believe it either. There are 4 bolts holding the column to the base and 4 holding it to the CSS. What does this mean? It means that when your footrests bump a wall or a chair getting in your vehicle there is a tremendous amount of force being put on the bottom of the column. How do I know this? Because I've had to have the column replaced 3x on my C350. When I removed the seating I found hundreds of hairline fractures that formed after bumping enough things. One time the column was completely broken and I had to have it re-welded and reinforced. This may have been corrected on the newest models of their chairs, but I haven't examined them to know. This is another reason why I'm building my own seat for my old C300. If one lives alone, he or she needs to be able to move heavy things with these chairs in case something like a sack of dog food or a 5 gallon bucket of pickled pigs feet gets in the way. Re: Permobil Corpus Seating System HUGE Flaw!! Want to make / get a better chair, ideally one that stands. I second the scissor lift. It would be much more stable than a single center column. I've seen chairs with that style, but never tried one. Have you had any experience with them? Any design problems or weak points? Of course it depends on how well designed and how substantial the single point is. Yea for sure, but if its a centered column that doesn't extend anywhere near all four corners of the base, then its bound to fail. Even this centered column design would be fine if when the foot rest are all the way down there was a piece behind them to support them against the base and take the pressure off the column. I'm just saying that like it is it's a bad design. a 5 gallon bucket of pickled pigs feet gets in the way. Are those common where you live? I can't tell you how many times that's happened to me (0). lol. I do move a lot of buckets of hydraulic fluid and car batteries pretty frequent as well as lazy nieces and nephews. I don't want my chair to remind me I'm disabled is all. Burgerman wrote: Of course it depends on how well designed and how substantial the single point is. BTW, according to Invacare manuals I found on line, it was a 'non-field repairable, must return to factory' failure. My friend ended up getting it fixed by the person that sold it to her, I don't know what they did to it / how they fixed it. I am not worried about that failing, looks pretty substantial to me. Much more concerned by finding huge buckets of boiled pigs feet all over the place!
? What a weird thing to say? lol "pickled pigs feet" That's what I call my nieces and nephews. Rye wrote: I second the scissor lift. It would be much more stable than a single center column. I've seen chairs with that style, but never tried one. Have you had any experience with them? Any design problems or weak points? I've got a bounder with a scissors style lift. It is absolutely 100% the way to go. 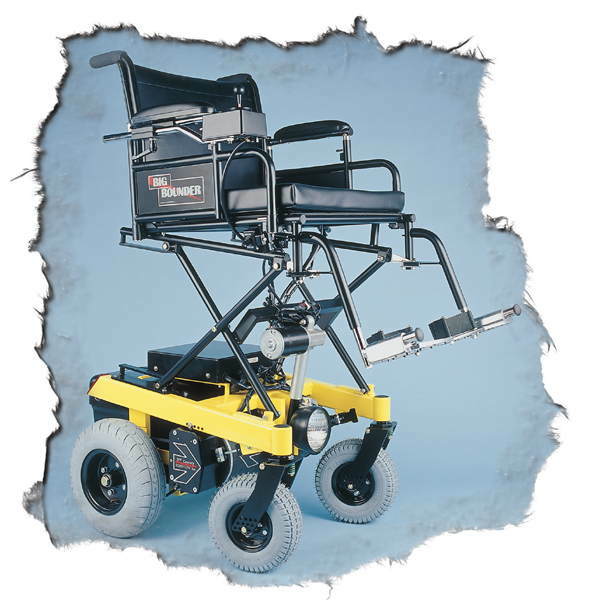 Previously, I had a permobil m 400 with a Center post that had a lift. Always felt very unstable and like I was going to tip over. Is this the one you have? I can't comment on the older Corpus seating system, but the recent Corpus 3 seat lift/elevator no longer uses a single post lifting system. The lifting system on my Permobil F3 is a much more robust three-point type system. I'm not shilling for Permobil just making a point. F3Head wrote: I can't comment on the older Corpus seating system, but the recent Corpus 3 seat lift/elevator no longer uses a single post lifting system. I was looking at some vids of the new Permobil line and you are absolutely right. They have changed the design. I wonder what you get if you don't order a chair with elevation though?